Last updated: Apr 7, 2019. 10:00 UTC. If you are looking to establish your online presence for either yourself or for your business, you will need to purchase a domain name. Finding and obtaining a great domain name is critical in 2019. There is so much competition, ensuring that your brand and website look credible is essential to gaining more customers and traffic. For this reason, I have created a detailed guide to registering a domain name, as well as some important next steps to ensure you don’t forget to renew, and details on how to keep your domain safe. Choosing a good domain name is hard. It is so easy to get carried away with a generic, long, keyword-laden name, or even one that contains obscure words, numbers, and even hyphens. Or, you might choose a domain containing existing trademarks and risk future legal action being taken against you. It also includes links to some great domain name generators to help you come up with some ideas, and check whether the domain name is available. I personally prefer Namecheap for domain name registration. The interface is very intuitive (as you will see in a moment), and the domain renewal prices for Namecheap ($10.69 for .com) are a little cheaper than GoDaddy ($14.99 for .com). GoDaddy is the most popular registrar hosting over 16 million domains. They are extremely focused on small business, so have plenty of useful products and services such as SEO tools, email, website builders, hosting, and much more. If you are just getting started and need a cheap domain, GoDaddy a great deal on .com domains with the first year at just $0.99. #1. GoDaddy Coupons - $0.99 .com top level domain. #2. Namecheap Coupons - 10% off .com, .net, .info and .biz top level domains. There are of course other popular registrars such as name.com or namesilo.com, among many others. I can personally vouch for both of the above ICANN accredited registrars. If you are also looking for web hosting, you may want to consider a host that offers a free domain as part of the package. Transferring a domain is relatively easy, so you can always move it to another registrar later. In addition, some registrars offer additional features such as private registration or premium DNS. Click the following link to visit the GoDaddy website and start the registration process. Activate our special $0.99 .com domain coupon. Then type in your chosen Name. Click the following link to visit the GoDaddy website and start the registration process. © The Webmaster. After entering your domain, GoDaddy will check whether it is available. Assuming it is, click ‘Add to Cart’ to buy your domain. The price for your .com domain will be $0.99. If you chose different domain extensions, then the price may vary. After you click “Add to Cart,” it will confirm your domain is available. Click the orange “Continue to Cart” to check out and purchase the domain. After entering your domain, GoDaddy will check whether it is available. Assuming it is, click 'Add to Cart' to buy your domain. © The Webmaster. On the next screen, GoDaddy will try to up-sell various products and options. You’ll probably want to deselect all of them. On this screen you should deselect any add-ons that you do not want. Many hosts now offer privacy protection free of charge, so you should never pay for this. 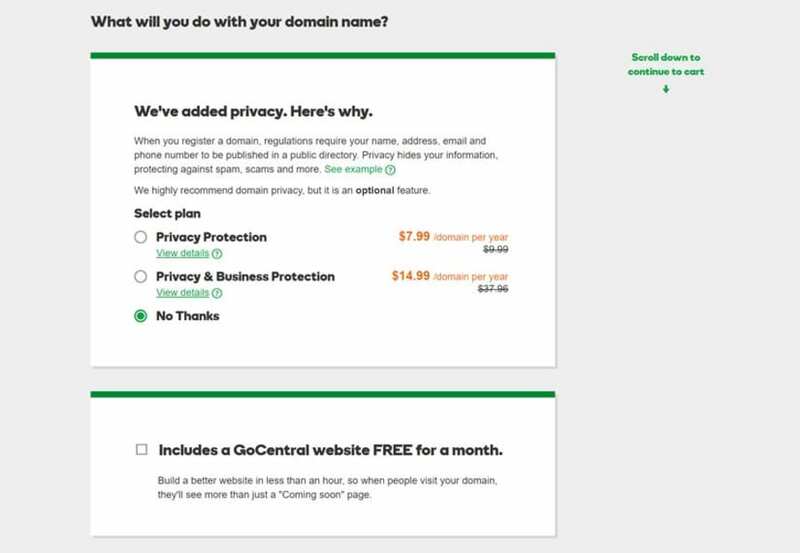 On the next screen, GoDaddy will try to up-sell various products and options. You'll probably want to deselect all of them. © The Webmaster. Once you have selected (or not) any add-ons, click the orange ‘Continue with these options’ at the bottom of the page. After finalizing any add-ons, scroll down to the bottom of the page. You will see an orange button. Press this to continue to the next step. Once you have selected (or not) any add-ons, click the orange 'Continue with these options' at the bottom of the page. © The Webmaster. Select the domain registration term, check order and checkout. 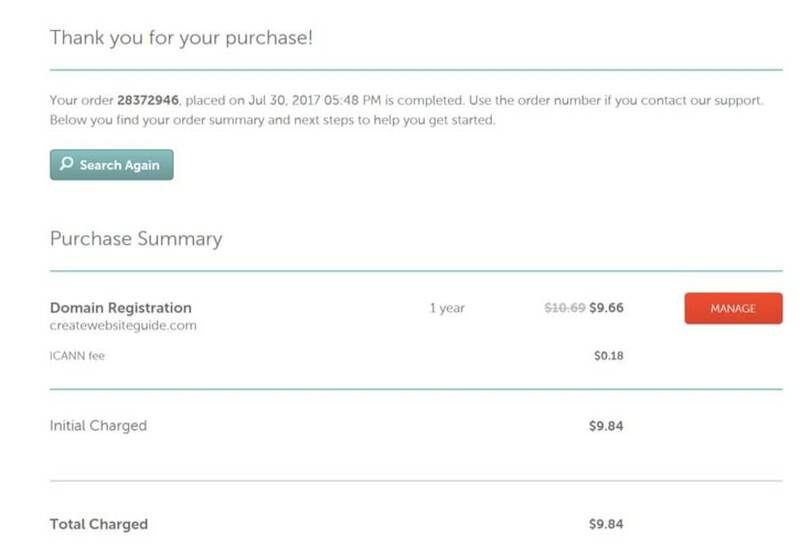 The renewal cost for .com domains is $14.99. However, any additional years you purchase now will only cost you $9.99. As such, you may wish to consider extending the term to up to 10 years. It will also save you from having to remember to renew it each year. If you only wish to register for one year, change the term accordingly. It will cost you just $0.99 plus ICANN fee and taxes. As I am based in the UK, it costs $1.40 due to VAT. Once you’ve selected your term, click the orange “Proceed to Checkout” button. Select the domain registration term, check order and checkout. © The Webmaster. If you do not already have a GoDaddy account you will need to provide your billing and registrant details. You will then see a final confirmation screen. Once you are happy, click “Place Your Order” (don’t forget to complete the Captcha). You will then see an order confirmation, along with a link to the Management screen. If you do not already have a GoDaddy account you will need to provide your billing and registrant details. You will then see a final confirmation screen. © The Webmaster. 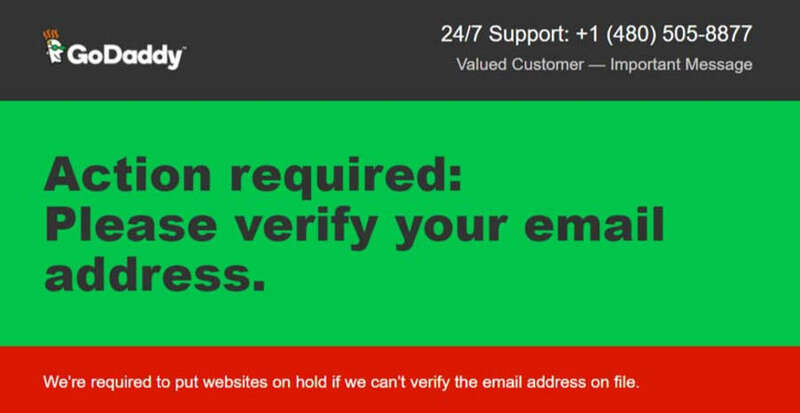 Check your email, and click the link to verify your email address. It is very important to verify your email address. If you fail to do so your domain purchase may be canceled. Check your email, and click the link to verify your email address. © The Webmaster. 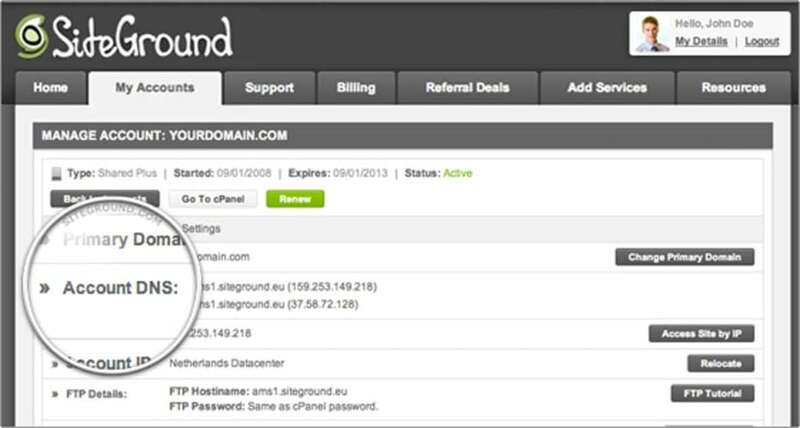 Point your nameservers at your chosen hosting provider (I recommend SiteGround). You can see full instructions on how to point your GoDaddy domain at SiteGround later in this guide (click here to jump straight there). These instructions can be adapted to any hosting provider. Visit Namecheap by clicking the link below to start the registration process. Visit our Namecheap Coupon page and click on the relevant domain coupon. After clicking on the coupon link on our coupon page and copying the code you will be taken to the Namecheap website. Type in your chosen Name in the “Search Domain” box. If it is not available, then you may need to reconsider your choice. Keep trying until you find a name that you like, and which is available. Visit Namecheap by clicking the link below to start the registration process. © The Webmaster. Click the Shopping Cart to buy your domain. Don’t worry about the price just yet. You can enter any discount code in a few minutes. After you click the add to cart icon, a subtotal will appear, along with the price (including the ICANN fee). 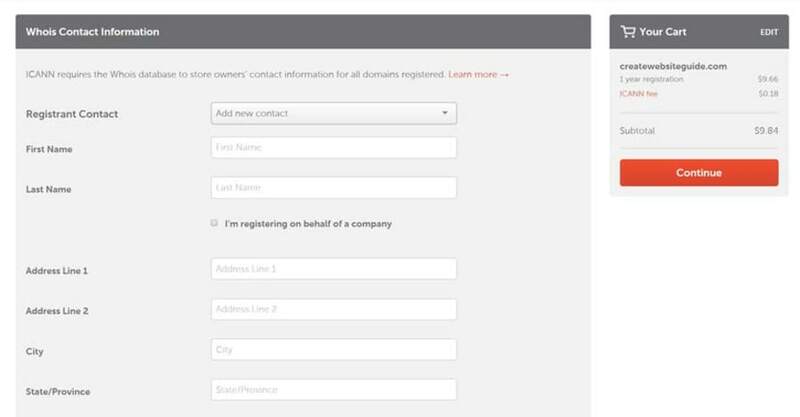 You can then click “View Cart” to proceed with registering the domain. Click the Shopping Cart to buy your domain. Don't worry about the price just yet. You can enter any discount code in a few minutes. © The Webmaster. Select add-ons, and enter coupon code. On this screen Namecheap will try to up-sell various products including WhoisGuard and PremiumDNS. You’ll probably want to deselect all of them, by toggling the ‘ENABLE’ option to off. You will also want to add your coupon code in this step. Select add-ons, and enter coupon code. © The Webmaster. 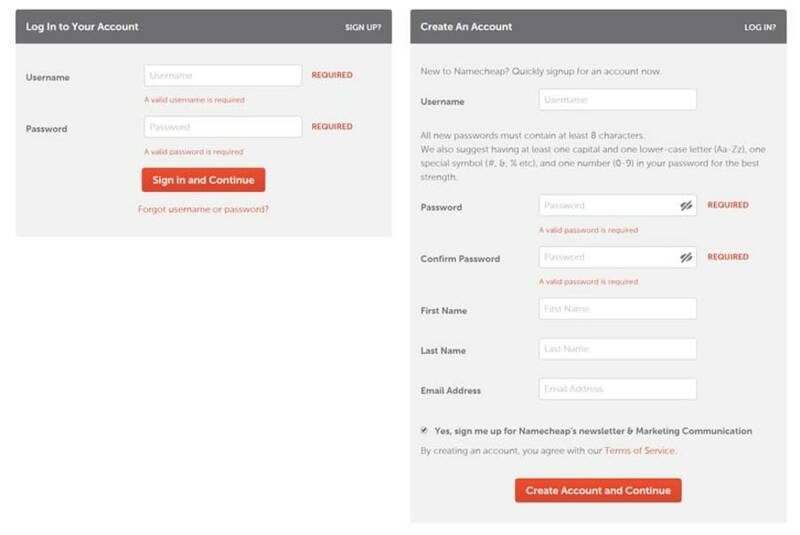 Log in to your existing account or register a new account. Log in to your existing account or register a new account. © The Webmaster. Enter your registrant contact details for the domain, and then click Continue. Enter Whois Contact Information. © The Webmaster. You will need to select the method of payment for the purchase of your domain. You can choose to pay via debit or credit card, PayPal, or Account Funds. Paying by account funds (pre-filling your account) opens up Bitcoin as a payment method. You can also configure whether to automatically renew your domain further down the page (recommended). Select payment method © The Webmaster. Proceed to make payment by your chosen method. 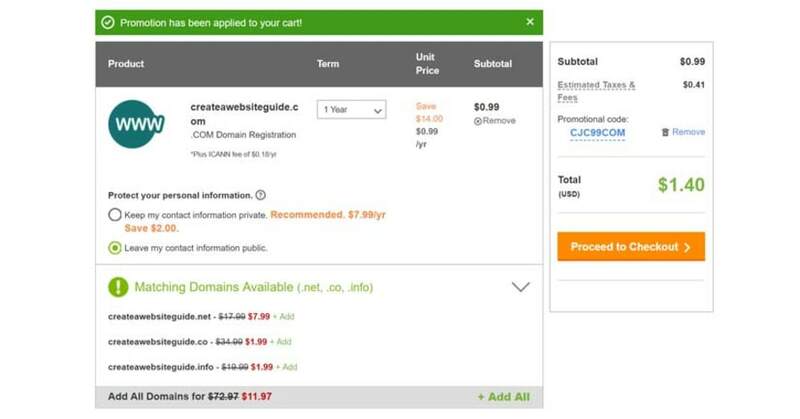 The cost of a .com domain with Namecheap is $9.84 including ICANN fee. Review Order and make payment © The Webmaster. You will then see an order confirmation, along with a link to the Management screen (orange button). Check order confirmation © The Webmaster. It is very important to verify your email address. If you fail to do so your purchase may be canceled. You can see full instructions on how to point your Namecheap domain at SiteGround’s domain name servers later in this guide (click here to jump straight there). These instructions to configure the DNS server can be adapted to any hosting provider. Now you have registered your domain name; the next step is to point it at your hosting account so you can view your web pages by visiting your domain. If you have not yet purchased your web hosting, you will need to do this first. I have included instructions below for two of the most popular registrars, but the principles can be applied to others too. Find out what your hosting providers nameservers are. 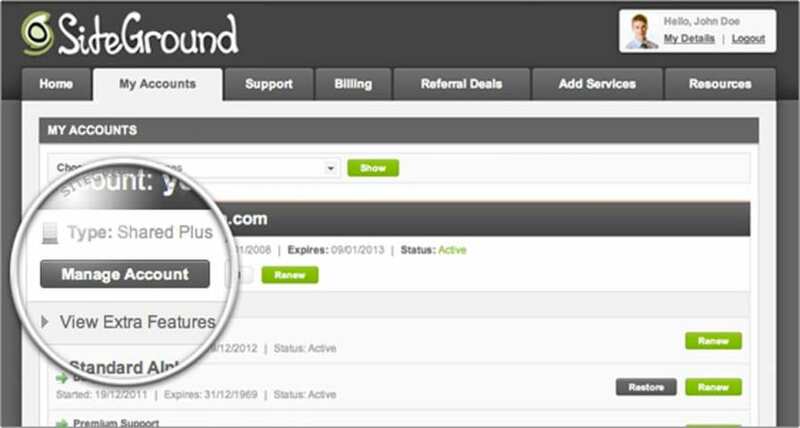 To do this at SiteGround, first log into your account. You will see under the “My Accounts” tab a “Manage Account” button. Click it. Find out what your hosting providers nameservers are. © The Webmaster. You will see your Account DNS settings clearly displayed, as shown. Top Tip: You can also see an option on this screen to Access the Site by IP. Because a change of Nameserver can take up to 48 hours, you can use this to view your website in the meantime. Make a note of your account DNS settings © The Webmaster. Log into your domain manager at GoDaddy. To do this, click your user name in the top right corner to expand the menu, and select “Manage Domains. Log into your domain manager at GoDaddy. © The Webmaster. Go to the DNS Management section of the control panel © The Webmaster. You will see that GoDaddy is automatically configured to use their own default nameservers. You will need to change this. Scroll down to the Nameservers section and click 'Change' © The Webmaster. Select custom nameserver type, and enter nameservers. Under the “Choose your new nameserver type” box, select custom, and enter the Nameserver details you revealed in Step 1. Then click ‘Add Nameserver’. Note: It may take up to 48 hours for your domain to start pointing to your hosting account. In the meantime, you can access your website via the IP, as described in Step 1 above. If you have just purchased it, you may find it works much more quickly. Select custom nameserver type, and enter nameservers. © The Webmaster. 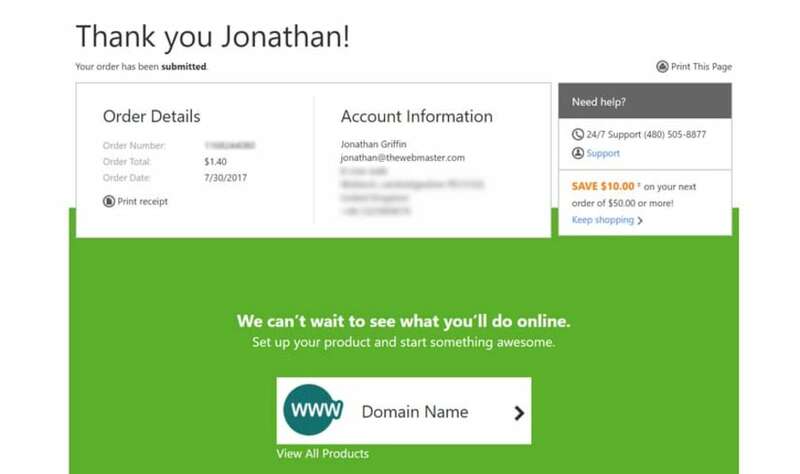 You can see full instructions on how to set GoDaddy to automatically renew your domain later in this guide (click here to jump straight there). Log into Namecheap, and go to the domain manager. To do this at Namecheap, first log into your account. The click the Domain List option in the left-hand-side menu. Log into Namecheap, and go to the domain manager. © The Webmaster. Click ‘Manage’ next to your domain name. In order to configure a specific domain you must select it from the list by clicking the “Manage” button. Click 'Manage' next to your domain name. © The Webmaster. Under the “Nameservers” sectopm, select “Custom DNS”, and enter the Nameserver details you revealed in Step 1. Finally, click the “green tick” to add the name servers. Enter your nameservers. © The Webmaster. You can see full instructions on how to set Namecheap to automatically renew your domain name registration later in this guide (click here to jump straight there). Your domain is your brand. If you lose it, it will turn out to be a very expensive, and potentially a business killing mistake. It is absolutely essential that you do not forget to renew it. Many domain registrars have the ability for you to auto-renew your domain, but of course, you must ensure you keep a valid funding method (such as a debit \ credit card, or even PayPal) configured. It is also advisable to ensure you can receive all notification emails, and that they do not get stuck in the spam folder. Click the toggle switch next to your domain in the Auto-renewal column. The switch should show green in the on position. Turn on auto-renewal. © The Webmaster. To do this, click the “Domain List” menu item on the left-hand side of the screen. Turn on the auto-renew setting. Click the toggle switch next to your domain in the Auto-renew column. The switch should show light blue in the on position. Turn on the auto-renew setting. © The Webmaster.